Pavefix is a material packaged in 20kg re-sealable buckets for the instant repair of potholes, cracks and depressions in asphalt and concrete for motorways, airfields, roads, carparks, driveways and all trafficable areas. The Material consists of a combination of selected aggregates, the main aggregate being granite or basalt, with a special binding liquid which is based on bitumen of selected penetration value, together with additives, resins and adhesives. 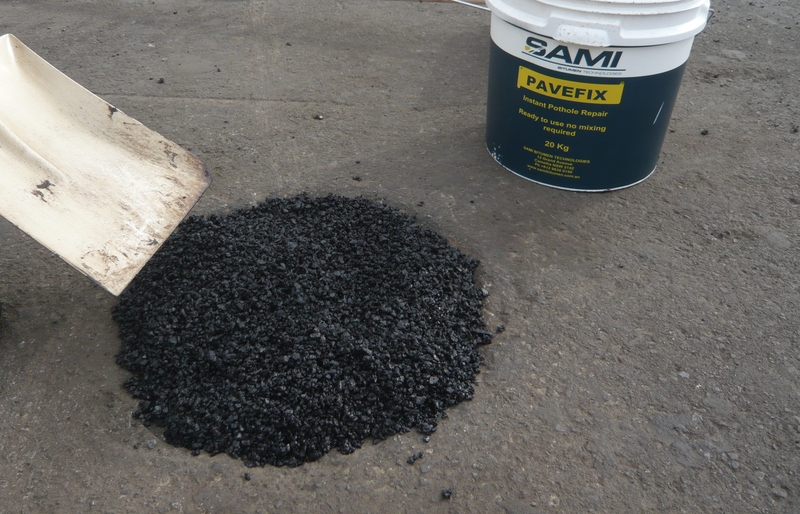 For more information about Pavefix contact SAMI Bitumen Technologies.